Today, Larry Klayman, a former federal prosecutor, announced the filing of an amended complaint in a lawsuit against former FDA Commissioner Dr. Margaret Hamburg, her husband Peter Brown, other corporate executives of Renaissance Technologies, and the pharmaceutical drug company Johnson & Johnson. A copy of the amended complaint can be found at www.larryklayman.com. The amended complaint alleges, inter alia, that the defendants engaged in a criminal racketeering conspiracy to inflate the price of Johnson & Johnson stock by withholding material information about the deadly dangers of Levaquin, an antibiotic used for routine infections. The amended complaint alleges that Hillary Clinton pushed to have President Obama nominate Hamburg as FDA Commissioner as part of a quid pro quo. Hamburg however had a huge conflict of interest particularly with regard to Levaquin. As alleged in the amended complaint, and as can be verified independently from U.S. Securities & Exchange Commission reports, Hamburg's husband, Peter Brown, through his hedge fund at Renaissance, owned as much as half a billion dollars in Johnson and Johnson stock. 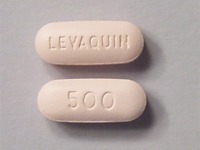 Thus, as alleged in the amended complaint, if Hamburg had allowed the disclosure by the FDA Levaquin dangers, which already has killed over 5,000 persons and left tens of thousands debilitated with life-threatening illnesses, the stock her husband's company held in Johnson & Johnson would have plummeted. Instead, Hamburg, her husband, Renaissance, and Johnson & Johnson are alleged to have profited handsomely. "The alleged criminal corruption we are seeking to remedy in this case is typical of Hillary Clinton and the rest of the sleazy politicians of both political parties that infest Washington, D.C. It helps explain why the political establishment and their lobbyist friends at companies like Johnson & Johnson are being shown the door by the voters during this year's election. By asking for $120,000,000 over in damages and $750,000,000 in punitive damages, if the victims are successful, they will put a chink in the sides of these alleged criminals and send a loud message that this misconduct will no longer be tolerated."